The different phases of the moon are caused by the angle from which an observer on earth can see the moon illuminated by the sun as it orbits our planet. As the moon makes its way around the earth a person can look up in the sky and see various fractions of its surface reflecting sunlight. 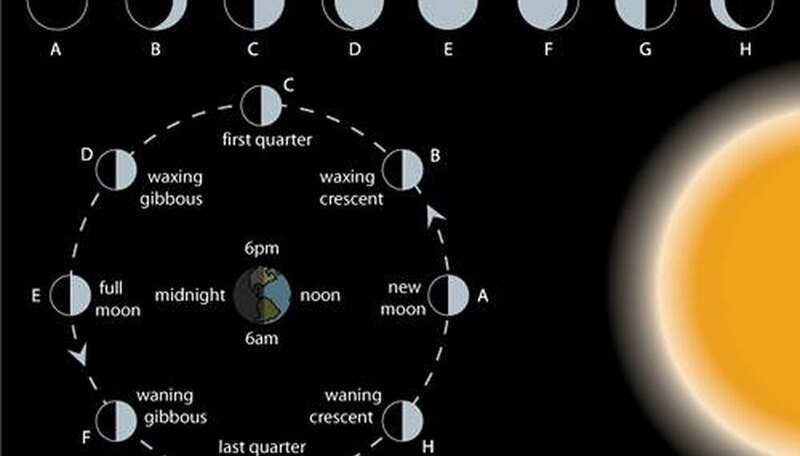 While there is always half of the moon that is "lit" by the sun the observer on earth will see the moon pass through its phases one complete time in a span of 29 and a half days. When the earth is between the moon and the sun, the moon will be at its brightest. 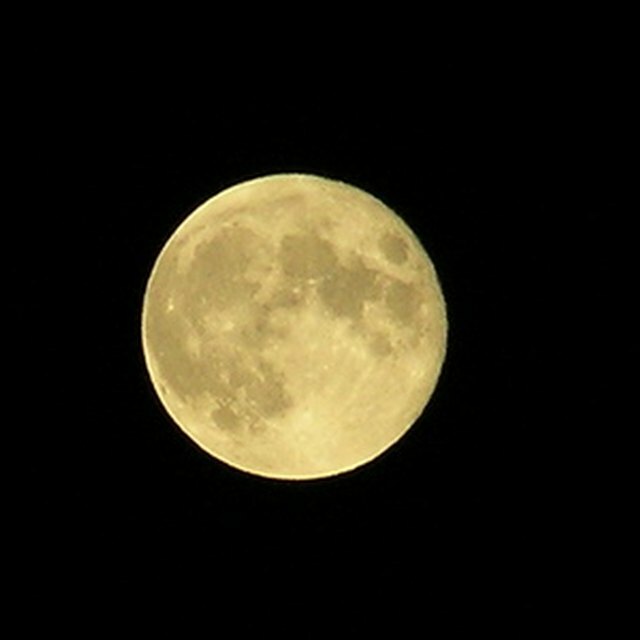 This is called a full moon and the entire disc of the moon will be illuminated. The full moon has an apparent magnitude of minus 12.6, making it the second brightest object in the sky after the sun, which has an apparent magnitude of minus 26.73. The full moon will look as if it is totally illuminated by direct sunlight for a number of days; in reality it is only about 97 to 99 percent illuminated a day before and a day after the full moon but this distinction is difficult for people to pick up on. As the full moon phase ends the waning gibbous phase begins. In this phase the moon will appear to someone on earth to have more than half of its disc illuminated but not its entirety as in the full moon. This amount decreases each night which makes it a waning moon. The last quarter phase occurs when only half of the disc is illuminated by the sun's rays. The waning crescent moon phase is when there is now less than half of the illuminated disc showing. This will eventually decrease to a point, when the moon is between the earth and the sun, to the new moon phase, where no part of the moon is visible from earth since the sunlight is falling on the other side of the moon. Only during an eclipse of the sun, when the moon seems to move across the face of the sun, is the moon visible during new moon. After the new moon phase the moon begins to be seen again. Gradually it starts to appear as part of its surface that is illuminated can be seen as it continues its orbit around earth. This is called the waxing moon and the initial phase is the waxing crescent, when less than half is illuminated by the sun. It gets bigger each night when the moon can be seen until it gets to first quarter phase, where half of the disc is now lit. The waxing gibbous phase describes the moon as it increases seemingly in size. It will be more than half full but still is not a full moon. Eventually the moon will once again be on the opposite side of the earth, with the sun behind the earth, which results in the full moon. This completes the eight phases of the moon--full and new, first and last quarter, waxing and waning crescent, and waxing and waning gibbous. Lindell, John. "Definition of Phases of the Moon." Sciencing, https://sciencing.com/definition-phases-moon-5087636.html. 24 April 2017.